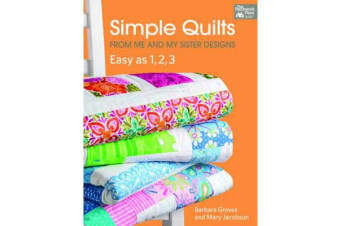 This is a delightful collection of 12 super-simple quilts from Me & My Sister Designs. 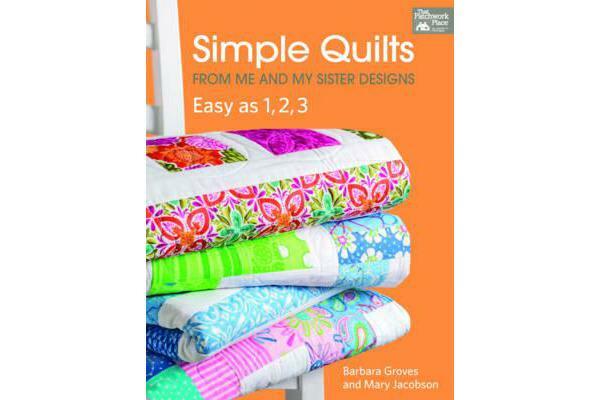 Known for their exciting use of colour in quick and easy quilts, sisters Barbara Groves and Mary Jacobson present a wonderful collection of popular projects. You can select from 12 strikingly simple quilts that will help recharge your creative batteries. You can discover skill-building projects that move from squares and strips to designs featuring stitch-and-flip corners, half-square triangles, pinwheels, a Rail Fence layout, and more. You can enjoy patterns that are just right for quilt retreats and make-in-a weekend gifts.